La migliore vista del lago è dal nostro portico schermato. La nostra casa 2 camere da letto 5 - un letto matrimoniale e un letto a castello (pieno e doppio). House dispone di soggiorno con TV via cavo e DVD, una cucina completamente attrezzata (pentole e padelle, piatti, caffettiera, forno a microonde, fornello, forno e frigorifero. Loved the area, easy to locate. Property and cabin is lovely. 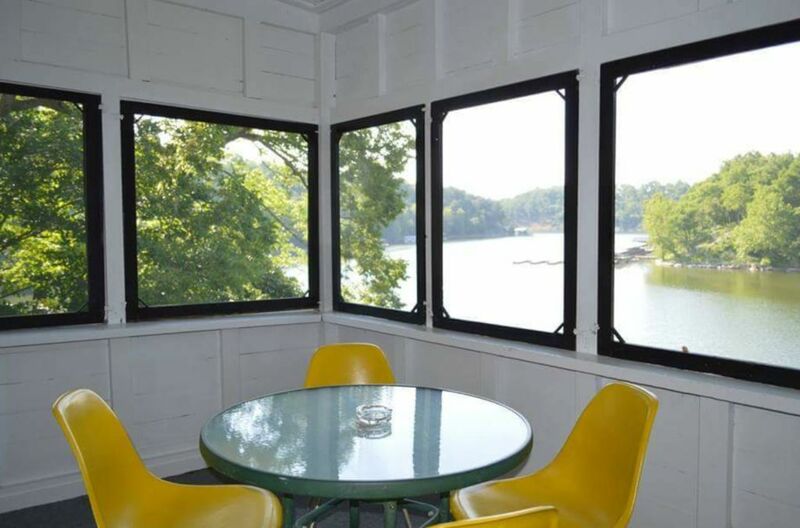 Loved the small room over looking the lake. Would rent again. Cute little lake house and very quiet. We had 5 people there and we had plenty of room. We loved the place and we enjoyed just the relaxing atmosphere. To get to the dock you have to go down some stairs if the lake is up or if not you have to go down and up the boat ramp. Both of them are pretty step and not easy if you have knee or hip issues. The road is narrow and curvy but that's part of being in Kentucky and the cell service is spotty but that was one of the things we loved about it. Thanks so much for your review! We are very glad that you enjoyed your stay. We will be open again April 1 and hope to see you again in the spring!